Not everyone can be a leader all the time, however, at some point in their life most people engage in leadership. When you find yourself leading, consider these six "must-do" activities. Establish a clear direction. I did not say "choose a direction" or "proclaim a direction". A good leader does not set agendas himself, he observes and listens to his followers/team and establishes a direction which reflects everyone's gifts and passions. Before you can be a vision-caster, you must learn to be a vision-collector. Explain with precision the roles of those you are guiding. Most people simply want to know what is expected of them. They want to know how they will be evaluated, and they want to know what they can do to help accomplish the "win." While a leader may fully succeed in getting the right people in the right seats on the bus, if he doesn't clearly communicate the expectation, he will fail. It should also be noted that a leader can never get his people into the right roles if he doesn't know his people's gifts, passions, and dreams. True leadership demands a great deal of listening and observing. 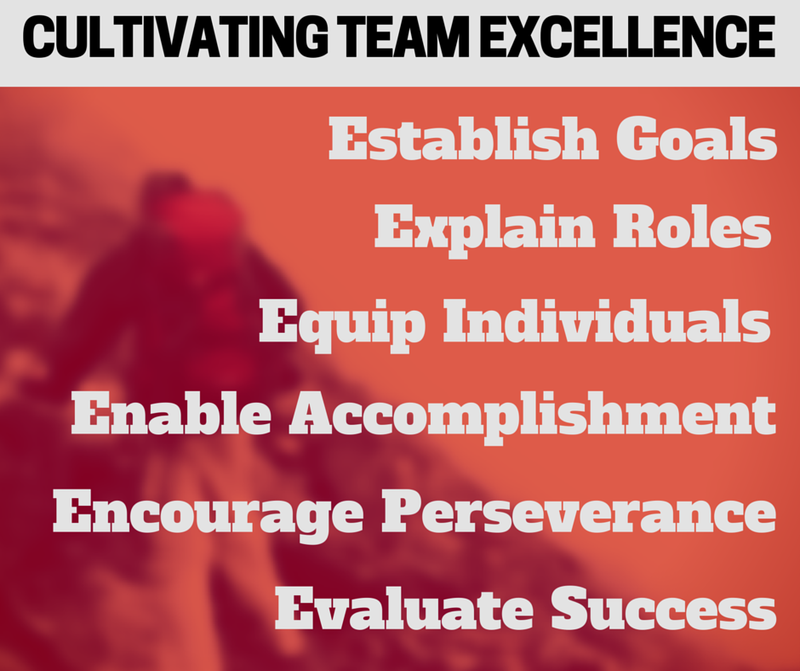 Equip completely with the training and resources necessary to accomplish the team's shared vision. A good leader recognizes tht everyone with whom they work has an important role. They must equip them to accomplish that role. 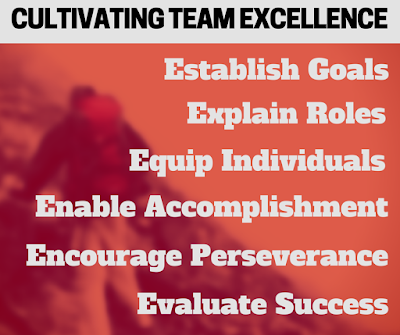 Equipping includes training and providing resources, but it also includes assisting someone in maximizing their strengths and minimizing their weaknesses. A good leader recognizes that everyone they lead is unique and therefore they learn to develop creative approaches when equipping different people. Enable accomplishment by unleashing people in their areas, by giving them necessary authority, and by regularly advocating their efforts in public. Nothing can be more disheartening for someone than to have a leader who doesn't enable them to accomplish their tasks. As a leader, if you can't unleash someone to do a job, it is an indictment against your leadership style. If you aren't willing to give someone the authority to do a job, the likely reason is that you haven't capably equipped them. On the other hand, nothing is more empowering than a leader who not only unleashes people to work, but takes every opportunity to publicly proclaim how much they value and trust the work of those they lead. A leads who does this will have followers who accomplish much. Encourage perseverance by regularly collecting updates and providing assistance when asked. Those you lead will become discouraged, they will have setbacks. There will be times when they want to quit. You can intervene in those moments and encourage them to carry on. If you step in at the right time and help them to refocus on the ultimate goal, you may keep them from quitting. But you'll never know if they are wearing down if you aren't regularly checking in with them. However, don't check in just to "monitor their progress". Be certain they understand and believe that you are checking in because you want to see them succeed. "Progress reports" should be an exciting and anticipated time, not a dreaded practice. You'll set the tone, and by doing so, you'll create a culture of perseverance. Evaluate the person's work by rewarding effective accomplishment and by correcting issues which may have led to incompletion. Simply put, "those who have done well with a small thing should be given more. And those who has struggled with a large thing should be given less." good evaluations will help you identify the proper load for all your team members.